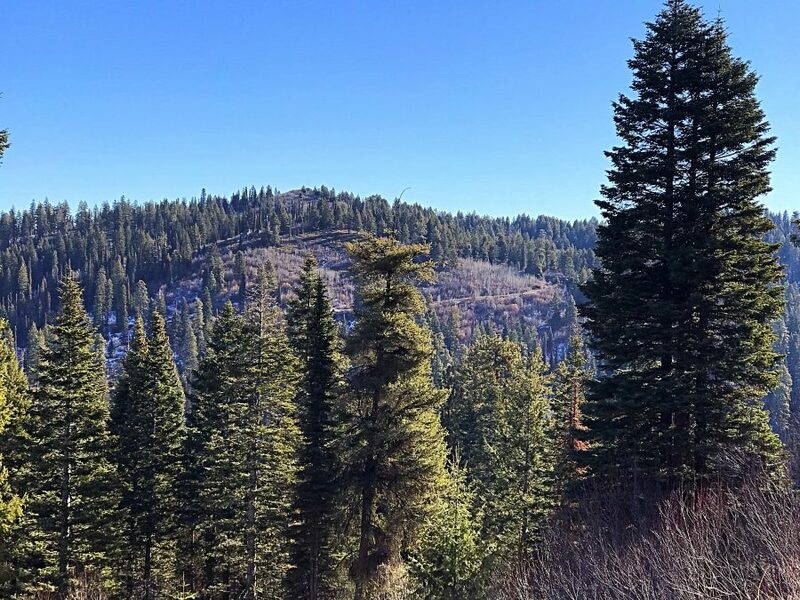 Dry Buck Mountain is located northeast of Banks, Idaho, high above the confluence of the North and South Forks of the Payette River. The summit was capped by a fire lookout from 1933 until the early 1970s. The lookout’s foundation still sits on the summit. The views to the east and north demonstrate why the peak was used as a lookout site. Peaks 6340 and 6323 are located nearby and worth visiting when you are in the Dry Buck Summit area. Dry Buck Mountain viewed from the west. Turn west off of ID-55 at Banks just after crossing the bridge across the South Fork Payette River. A large parking area and restrooms mark the start of Forest Service (FS) road 643. This road leaves the parking lot in a southerly direction and is paved at first. Then, FS-643 quickly climbs out of the canyon and heads to the high country above. Once out of the canyon the road turns north and, after 11 miles, reaches Dry Buck summit. My GPS track. The climb to the summit was 1.1 miles with 567 feet of gain. 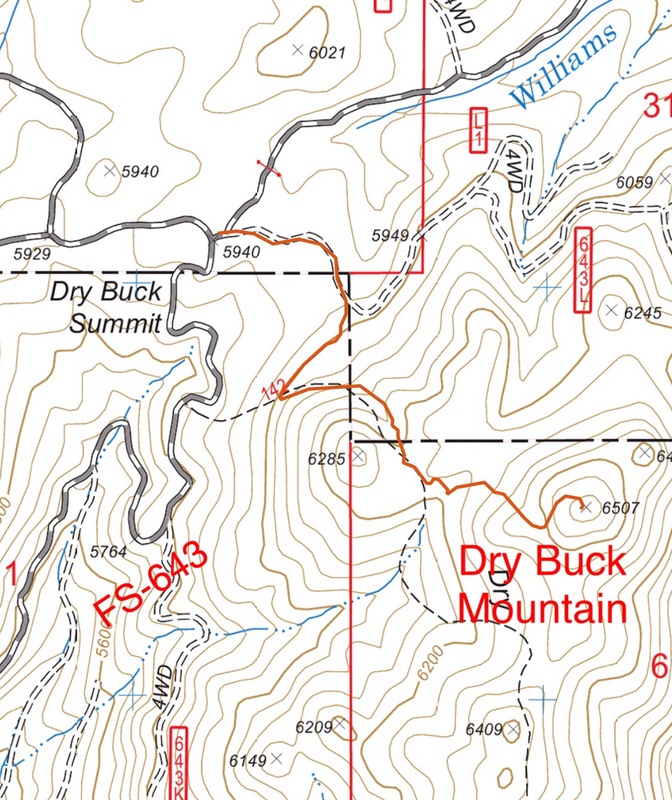 At Dry Buck summit, FS-643L (as shown on my GPS track from the National Forest Service topo) leads east to the base of Dry Buck Mountain and quickly forks. The right fork does not show on the topo map, but take it. This road climbs across the peak’s west face. Eventually, you will find a junction on the southwest corner of the peak with an ATV trail that climbs northeast to the summit. 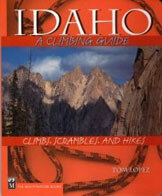 If you are up for bushwhacking, immediately leave the road and climb up the west slopes to the summit. John Platt on the old lookout steps. 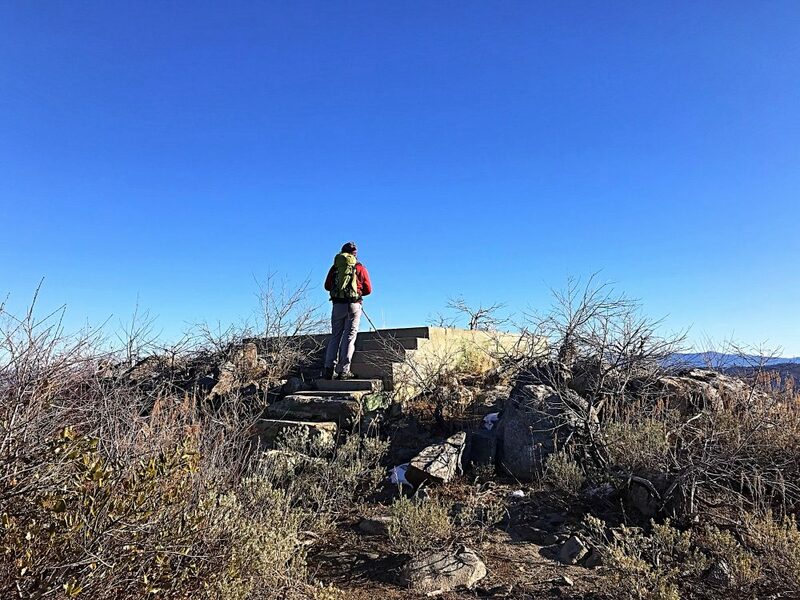 The highest point on the mountain is actually a granite outcrop located just west of the lookout foundation.